Now introducing Kwik Stix Classic Stix! No cups, smocks, water or brushes required. 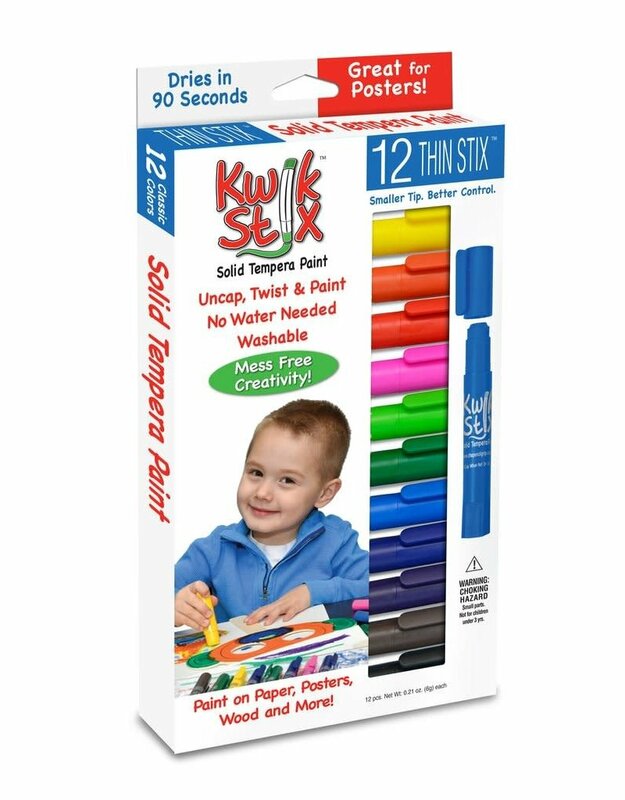 Kwik Stix have a fast-drying formula that will allow them to dry in 90 seconds while still leaving a paint-like finish! Kwik Stix come in assorted vibrant colors with coverage that won't crack. Great on poster, paper, cardboard, wood and canvas.